I was recently on the set of an independent feature film and realized the one thing slowing down their production was an indecisive director who lacked a director viewfinder. Instead of the director quickly determining what type of shot set-up and lens he wanted using the glass, he made the camera and grip team move the equipment around 2-3 times to determine each set-up. That choice cost them 45 minutes of shooting during the time of my visit. PREPRODUCTION: Many directors create a shot list and map out their camera set-ups during preproduction. Some use small objects to represent their talent and test their blocking with set prints, models, or taped tabletops. 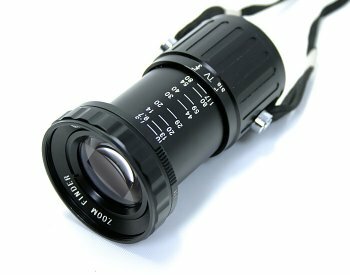 By using the director viewfinder in this way, the director can estimate the approximate camera position for the DP prior to the shoot. LOCATION SCOUTING: Few independent productions have the benefit of a location scout. By keeping a director viewfinder handy, the filmmaker can immediately test the composition of any cinematic location he stumbles upon. DEVELOP DP SHORT CUTS: The director viewfinder can be set to any standard aspect ratios (Academy, TV-4X3, 1.66, 1.76-16X9, 1.85, 2.35, and 2.55) and formats (Film: S16, 35mm, Anamorphic and Video: 2/3”, 1/2″, 1/3”, Mini DV, 1/4″, 1/5”, 1/6”), so when the director finds his shot, he can immediately share the specifications of the shot with the DP by looking at the settings. This allows the DP to quickly delegate important information to his camera and grip teams. SIMPLIFY GRIPS JOB: Film shoots can require multiple cameras, dollies, cranes, jib arms, etc. Having the grips set and shift each set-up until it’s close to the director’s vision tires the team and slows down the shoot. 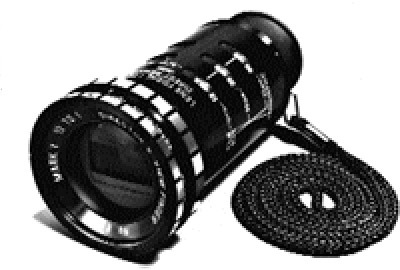 Ideally the equipment would only move once per set-up, which is easily facilitated by a director using his viewfinder. PREPARE FOR A STUDIO PICTURE: Directors need to build skills and good habits that create productive conditions during a shoot. A director who burns $50-$500 an hour on a small production is typically more wasteful than a director working a studio picture, who uses a director viewfinder and burns through $5K-$50K per hour. He typically has a process or methodology that provides a highly creative and efficient environment. Everyone knows that a writer must have software to properly write screenplays, but few understand the critical importance of the director viewfinder (and the director notebook). The viewfinder allows the director to pre-visualize the limits he places on the audience and allows his first step in translating the written word from the screenplay to a visual for the silver screen. By carefully selecting the right series of images, the director is able to move the audience emotionally down the path of his choice. He is able to determine what they see and when they see it, making them vulnerable to his dramatic story. To that end, I started using a director viewfinder with my first directing job and found it to be a tool I couldn’t live without. I have the Alan Gordon Mark IV director viewfinder (The latest version is the MarkVb) and the Opteka mini director viewfinder. While the glass is better on the Mark IV, the mini has the latest formats and aspect ratios. The mini is convenient to carry in my pocket when I don’t have my backpack handy. Prices range from $99 – $700+, depending on the features desired. CJ, I always learn something valuable from your blog, thanks! Please keep it up! Hello! This is really helpful! I was wondering what the name of the second viewfinder you have pictured. The one where the lanyard coil isn’t visible in the photo.